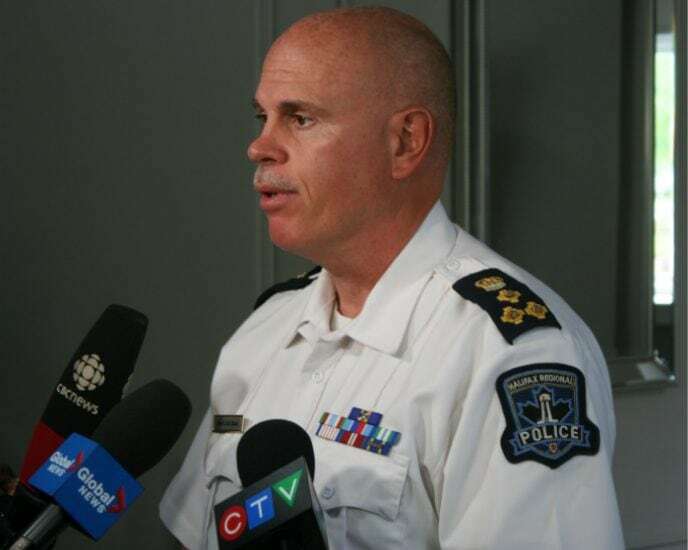 KJIPUKTUK (Halifax) – I am glad Halifax Regional Police (HRP) chief Jean-Michel Blais is retiring. I am happy for him, and happy for Halifax. In the seven years that Blais was in charge he didn’t address racism within the HRP force in a substantive way. Despite plenty of evidence to the contrary he continued to deny that the problem even exists. Racism pervades the department, and I am not talking about bad apples (although they are part of the problem). I am talking about the systemic variety. In 2003 a Human Rights Tribunal found that boxer Kirk Johnson was racially profiled, and HRP was ordered to publicly apologize and pay Johnson $10,000. HRP was also ordered to start collecting data on the race of those that were subjected to police street checks. Fast forward to 2017, when the CBC reported on a freedom of information request that revealed the force’s anti-Black bias when selecting carding targets. It was all in the data that the Human Rights Commission ordered the police to collect in the Kirk Johnson decision. Focus in the press was on the shocking numbers that came out, understandably. But equally disturbing was that until the CBC stirred things up HRP had never seriously looked at the data. As a rule, your actions reflect the things you care about. And in all these years nobody in a position of authority had ever said, hmm, maybe we should actually look at the data, who knows what we will find… In other words, HRP didn’t care about racial profiling, and neither did Blais. It’s at moments like these that racism reveals itself as having been institutionalized. This is when it becomes systemic. Wilful ignorance continued to be the go forward strategy. In March 2017 I attended a meeting at the Halifax North End public library, where Blais faced very angry African Nova Scotians, shortly after CBC published the carding statistics that showed the anti-Black bias among police officers. Listening to Blais at the time, it felt as if any issues around policing the Black community were mostly resolved, if they ever existed in the first place. What made it so surreal is that he was speaking in a room full of African Nova Scotians who vehemently disagreed and told him over and over of their encounters with police officers who were clearly acting in a racist fashion. Since that time I have reported on other community meetings, in the Halifax North End and in Lucasville, where African Nova Scotians talked about their encounters with over the top racist police practices. Then there were the many requests from within the African Nova Scotian community to stop the practice of carding at least until the data are better understood. None of this affected Blais. Just days away from retirement, and after attending an annual service at New Horizons Baptist Church in Halifax on Sunday, Blais spoke with journalists, Halifax Star reporter Haley Ryan among them. When asked about tensions between the African Nova Scotian community and police, and the community’s dislike of carding, he offered the following explanations. There is the wrong country explanation. There is the people don’t even know what a street check is argument. “He said he’s hopeful the report can help police and the public understand better what a street check is, and is looking forward to clear recommendations that will allow police and the general community ‘to interact better and to understand everything’,” Ryan reported. Racism in the police force in HRM exist and is at a all time high. Racial profiling and targeting is common especially in areas with great concentration of people of color. I am a black male and am in the process of proving that now through experience. This country and province is designed to prevent the success of people of color. Nova Scotia is a Plantation period ! You have not addressed the real problem you have touched the surface.Until you tell the true story that involves North Preston and the other 50 Communities you haven’t done anything. That’s why l became Live At Six .To Tell Truth The Pill Everyone Wants But Can’t Swallow.